Why can't VW bring any of its cool cars to America? Aside from the occasional 'the manual transmission option has been discontinued' story, few taglines get us more riled up than 'won't be sold in the United States.' We have become all too familiar with this phrase as foreign automakers refuse to sell us sporty compact hot hatchbacks, potent diesel engines, manual transmissions, and high-performance wagons time and time again. It does make some sense - the US is an expensive market to enter due to our convoluted safety and emissions standards that don't match up with the rest of the world, though the blow of not receiving the latest diesel-powered monster wagon never seems to soften. Volkswagen has been particularly unsympathetic to US enthusiasts, whose only crime was wanting to pay money for one of the brand's awesome new models. 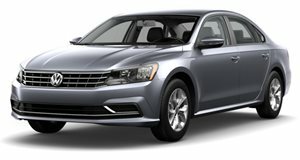 It has become difficult to count how many times VW has disappointed us recently with Europe-only models. For instance, the new European Passat looks like it is lightyears ahead of the one we get in the US. Even the new 300 horsepower T-Roc R crossover, which seems like a perfect fit for the crossover-crazed US market, won't be sold stateside. Then there are cars like the Up GTI, Amarok, Golf GTD, and the Golf GTI Clubsport S, none of which are offered in the US. 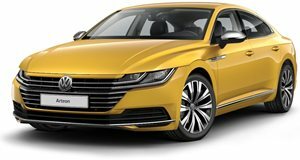 And what about the Arteon, which was slated to come to the US but has been continuously delayed? Among the cars we can longer buy from VW in the US, the Touareg is one of our favorites. The Touareg was killed off in the US after 2017 but has received an all-new generation in Europe. And now VW has revealed a new engine variant called the V8 TDI, which will make its debut next week at the 2019 Geneva Motor Show. This 4.0-liter tri-turbo V8 diesel engine is the same one found in the Audi SQ7 (also not sold in the US) producing 416 hp and 664 lb-ft of torque. With this massive powerplant under the hood, the Touareg can hit 60 mph in just 4.9 seconds. 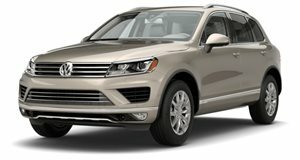 VW continues to pump out enthusiast-minded vehicles like the new Touareg. Alas, the company clearly has different priorities here in the US.